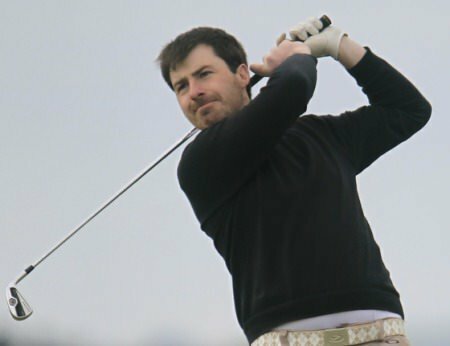 The 32-year old underwent surgery to repair a faulty heart defibrillator just three months ago and having only narrowly failed to win last month’s Mullingar Scratch Cup, he’s happy to have another shot at glory after a six-birdie round left him a shot clear of Greystones’ Paul Dunne on four under par with Boys international Paul McBride in solo third after a 70. “There is a long way to go but it’s a nice start but I’m just pleased to be playing golf to be honest after what happened back in March,” said Morgan who took advantage of relatively benign morning conditions on a day when defending champion Chris Selfridge tangled too many times with the rough and shot an 83. With the rough heavier than it’s been in years, the former Leinster interprovincial opened with a bogey at the 10th when he missed the fairway left and saw his eight iron fly through the back into a tangled lie. But he made amends quickly with birdies at the 13th (driver, nine-iron to 12 feet) and 14th (driver, sand wedge to 12 feet) to get into red figures. His only significant par save on his opening nine came at the 16th, where he missed the fairway by a yard to the left, pitched out 50 yards short of the green and chipped to a foot. 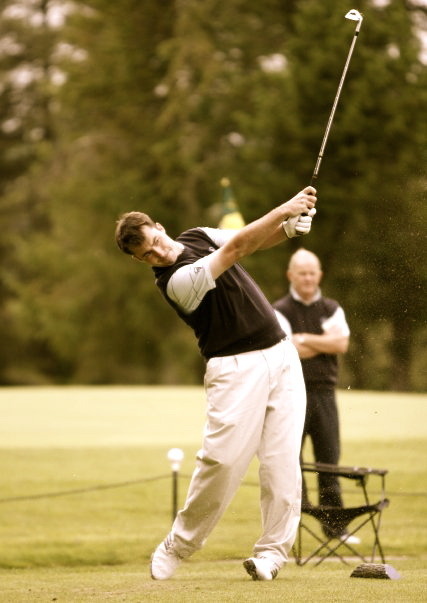 Paul McBride had four birdies and two bogeys in a fine 70. The Island’s Paul McBride during the first round of the East of Ireland Amateur Open Championship 2013 at Co Louth Golf Club, Picture: Thos Caffrey / www.golffile.ieA 20-year old finance student at Graeme McDowell’s alma mater, the University of Alabama-Birmingham (UAB), former international Dunne had two bogeys and five birdies in squally but otherwise benign afternoon conditions. 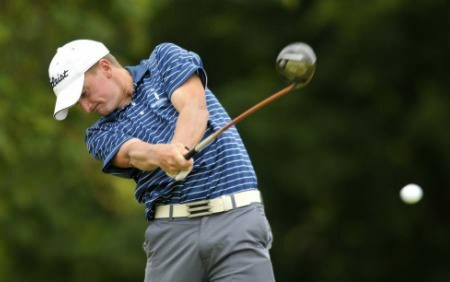 Heading into his junior year at UAB in August, the Wicklow player birdied the eighth from 35 feet but bogeyed the 10th before finishing strongly. 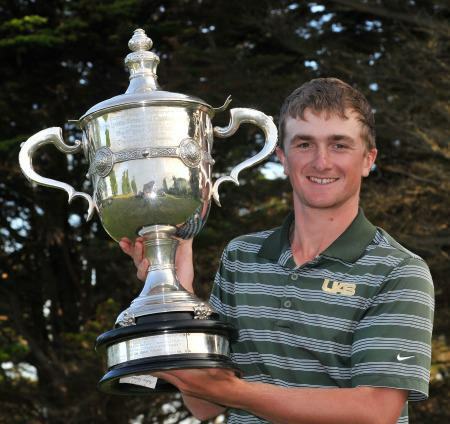 “The first 10 holes was kind of scrappy but I got it round,” Dunne said. “I only hit six of the first 10 greens but after making a long one for birdie on eight I bogeyed 10. But then I started to play better and birdied 11 (7 iron to 2ft), 13 (9-iron to 10 feet) and 14 (60 yard wedge close). Boys International Paul McBride, 17, also started on the back nine, picking up birdies at the 12th, 15th, 16th against a lone bogey at the 14th to turn in 33. He then birdied the par-five second but gave that shot back at the par-three seventh. Luttrellstown’s Shaun O’Connor had an ace at the seventh in a 71 that was matched by Portmarnock’s Geoff Lenehan and Stephen Walsh, Rathmore’s Ben Best, City of Derry’s Kealan Quigg, Tullamore’s Stuart Grehan, Massereene’s Tiarnan McLarnon, Baltray’s Simon Ward and Walker Cup hopeful Jack Hume from Rathsallagh. Hermitage’s Alan Dowling shot a 78 but still had reason to celebrate after a hole-in-one at the 15th. Stephen Healy and Brian Casey are lurking menacingly after 72s with Limerick’s Pat Murray a shot further back after a 73 that could have been so much better. 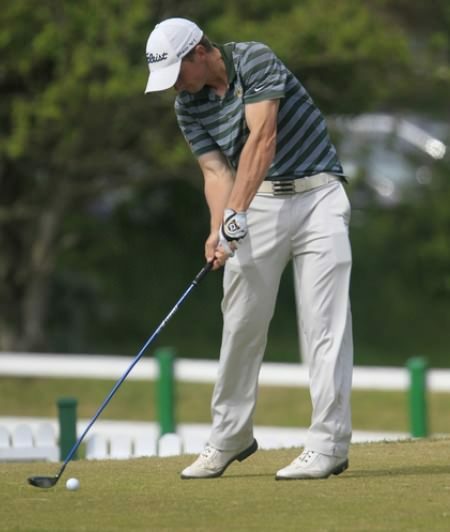 The South of Ireland champion birdied the second, third, sixth and seventh to get to four under but missed the fairway and bogeyed the ninth, 12th and 13th before taking six at the 16th after going long left with his approach.